બૈજુ જાની "માનવ" ની રચનાઓ. 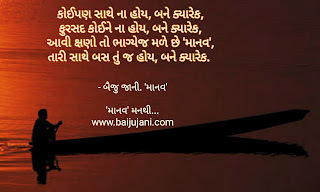 © Baiju Jani. 2013. Unauthorised use of the content of this blog is strictly prohibited. Watermark theme. Powered by Blogger.